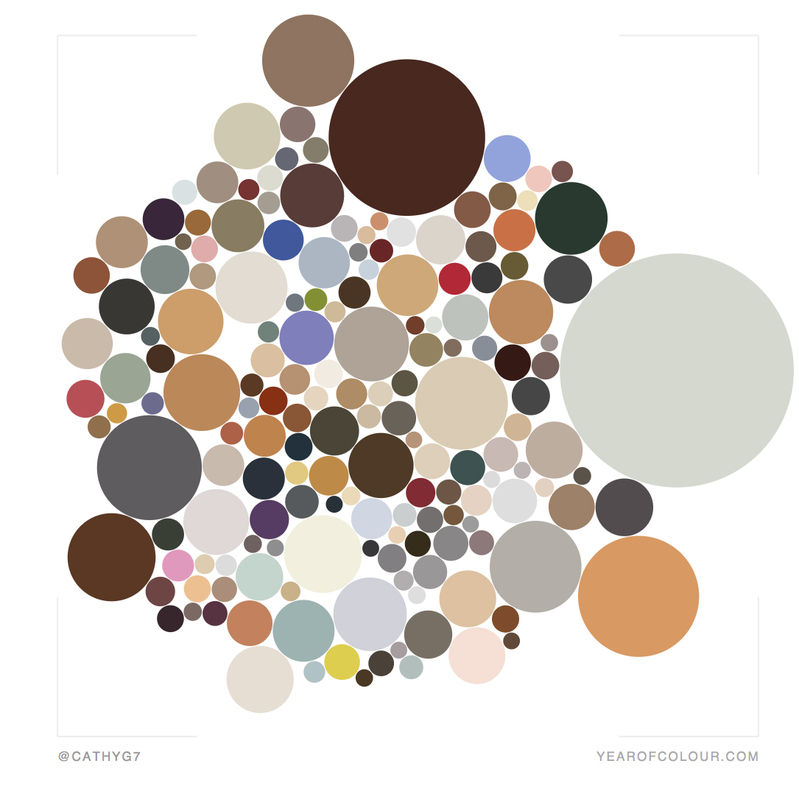 What Colour Was Your Year? This was my year of colour. The colours that were most prominent and most liked in my instagram feed over the last year, I’m surprised there’s not more red – want to see your own? April 19th is National Garlic Day. From top left (clockwise) Oak Smoked Garlic, A mixture of roasted veg and garlic, the Garlic content of tonight’s meal and this years crop. I’m lucky to have a job that takes me all over the South West of England for client meetings so I grab the chance in-between meetings for a photo or two when I can. I was in Bristol last week and thanks to Laura [Kidd] aka She Makes War who suggested a visit to Nelson Street I had a quick visit to the See No Evil, street art project. I will be heading back when I next get the chance as there’s so much to see it’s impossible to take it all in when you’re pushed for time. Some Thoughts On Instagram, Rights And Free Storage. The Instagram community was suitably outraged and many people went for the knee jerk approach and immediately deleted their accounts (even though they had until 16th January to do this). I thought about the changes and how they might affect me. My first thought was I’d be annoyed if someone sold my photographs and made money out of them without me getting a cut but there’s more to it than that. Second thought was if I cared about the potential to monetise my Instagram photographs (or any of the photographs I take for that matter) then maybe instead of complaining when someone else finds a way to make some money from them I should get off my backside and work a little harder at making money out of them myself. Next thought was in all honesty how much chance is there of anyone making anything substantial from what amounts to not much more that a few shots of things, places, signs, people etc that have caught my eye whilst I’ve been out on my travels and would have been a much more mundane photograph without a filter or two and a bit of tilt shift now and again, endless photographs of my cat and a history of what I ate last time I went to a restaurant or cooked a meal that I hadn’t cremated? Lastly, and arguably most importantly do we pay to use Instagram? No. We’re all happy to use the filters, to use the storage and show off our shots but we don’t expect to pay for it – a little selfish and maybe just a little naive? I can’t imagine that setting up Instagram, developing the site, the filters, the servers etc (even with facebook finance) has ever been easy or free and yet no one seems to want to give anything back. Predictably (in my opinion) Kevin Systrom co-founder of Instagram issued a statement last week which appears to be a turnaround on the original proposed changes (or maybe it’s just the same thing without the legal speak so we all know exactly where we stand?) here’s what he wrote on the Instagram blog. And here’s a quick extract ref the controversial advertising issue. The new new terms come into effect from 19th January 2013 and I’ll be keeping my Instagram account. It’s a bit of fun and if I ever feel I’ve taken any work that I may be worth selling then quite simply I won’t post it on Instagram, or Facebook or any other free to host, public site because unless you cover your photographs with big ugly watermarks it doesn’t matter how much you claim ‘all rights reserved’ as soon as it’s out there in the digital domain anyone can use it if they really want and you will spend a lot of your life (and money?) trying to pursue breach of copyright. If it matter to you protect it, passwords, watermarks or just keep it offline, if you want it to be seen prepare for it to be used. The best you can hope for as far as I can see, is that people might be decent enough to ask, to credit and if there’s a few quid to be made, to share it with you. 30/30 30 Days Of Instagrams – The End. This is it! Day Thirty. I didn’t quite make 30 consecutive days but I was closer to it than I usually get. I hoard stuff (still) and I feel like I’m starting to drown a little bit under the clutter that I keep. So I have made the “Why Have I Still Got This?” Category. First up – my first walkman and a present from an ex boyfriend. We used to be able to hold ninety minutes of music in one of these and walk while we listened to it – revolutionary! He spent last night at the vets – again! He keeps getting injured, we try to keep him in but he could drive you insane if he can’t get out. He had another scrap on Thursday and when the Matt got home from work on Thursday evening his face was swollen and he was clearly in pain. When he got him to the vet there was a hole in his mouth! Just inside and going all the way up (inside) to the eye socket. The Vet found no injuries to his eye so the problem was from the mouth up but they had no idea what might have caused it. It’s possible it was a trauma injury or it may be a strange form of Cancer, we’re still waiting for the results of the biopsy but for now he’s home. Off his face on methadone but home.